Is there anything more relaxing than slapping on a good face mask? Even though relaxing isn’t something I quite know how to do, I sure do like to try. I keep busy most days and it feels like I hardly get any time for myself. But I make it a point to set aside some me time so that I can at least try to unwind. Of course I still try and do some work while my face mask is drying. Like I said, I try. 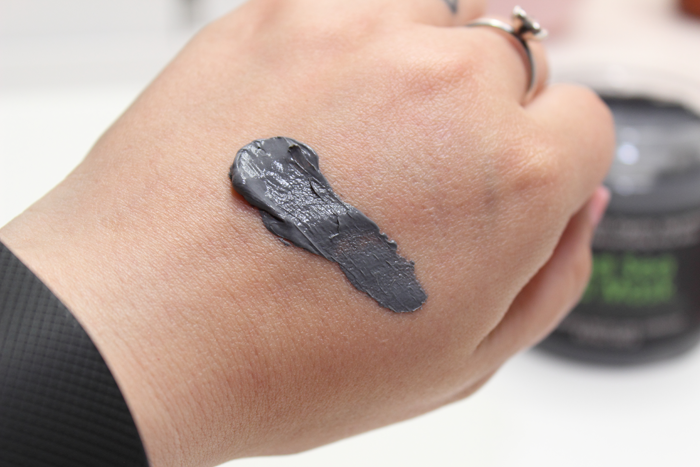 One of my new favorite masks is the Dead Sea Mud Mask from Sky Organics. It’s a mineral rich, rejuvenating face mask. 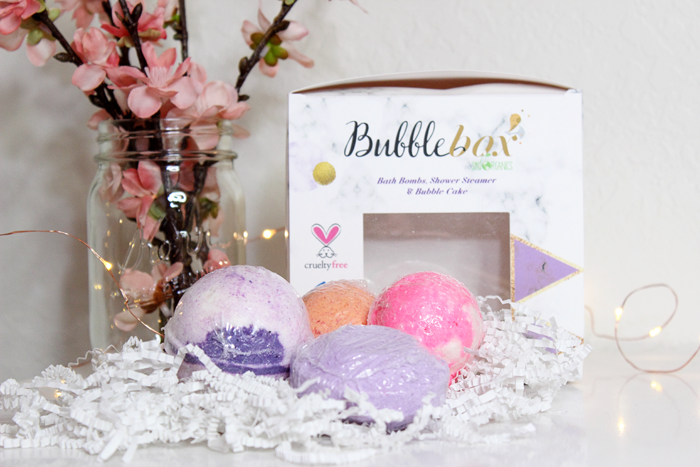 Their dead sea mud is sourced directly from the Dead Sea in Israel. They claim this mask clears acne, cleans and shrinks pores, tightens and smooths fine lines and wrinkles, and relieves dry, itchy, or irritated skin. To use, apply a thin layer to clean skin avoiding eye and lip area. Leave on for 15 minutes. To remove, use warm water in a circular motion. They also advise you not to use more than once a week. Here are my thoughts. The first thing I noticed was that it didn’t have a strong scent. It’s pretty thick, but spreads out easily. A little goes a long way. After 15 minutes I wash it off. It’s a little difficult to remove, but if you keep working at it using circular motions it does come off. It would probably come off much easier with a warm washcloth, but my skin is too sensitive for all of that excess rubbing. Afterward I pat my face dry and am left with silky smooth skin. My skin is left feeling moisturized and looking fresh. I’ve used this mask during a few redness flare-ups and it relieves my skin almost immediately. Within an hour of washing off the mask my skin is usually more even and no longer dry or itchy. If you suffer from redness, I highly suggest giving this mask a try. I think you’ll be pleasantly surprised. I can’t comment on the acne as that’s not really an issue for me. Or at least it wasn’t during the times I tested it out. However, my pores do appear smaller and my skin feels cleaner without feeling tight or dry afterward. And as I mentioned, it does help with dry, itchy, and irritated skin. I was also surprised that it calmed down my redness. All things that make this mask a winner in my book! 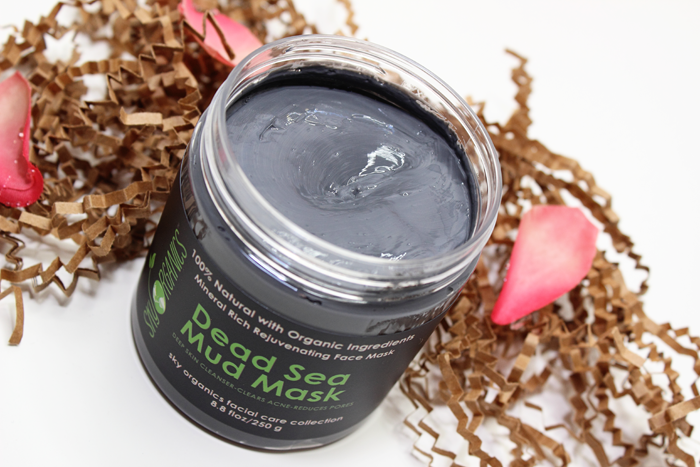 Have you tried the Sky Organics Dead Sea Mud Mask? What masks are you loving at the moment? I love to cook. Baking especially. As often as I’m in the kitchen you’d think I’d try and combine my love of cooking and beauty and maybe make my own products. But I don’t. It’s so much easier to prance into the store and purchase some pre-made skin care products. After sniffing every single product in the store that is. Ok I guess that can be pretty time consuming and probably more expensive in the long run. The idea of making my own body butter just seemed like so much work. And I wouldn’t even know where to start. 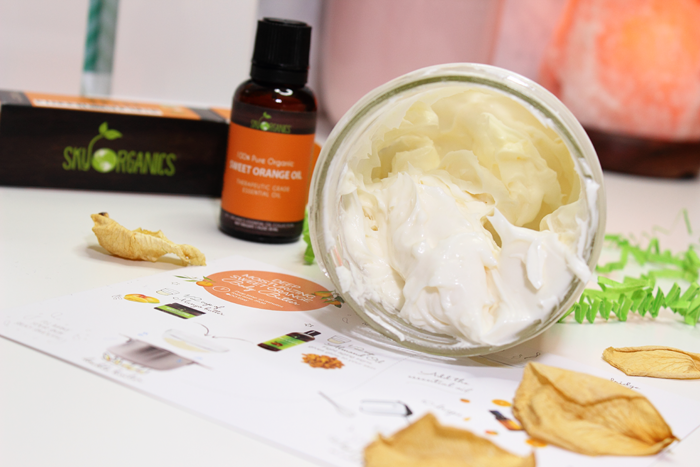 So when Sky Organics sent me another one of their nifty DIY Kits for a yummy smelling body butter, I was all over it! With just 3 ingredients and a few simple steps I had my very own homemade body butter! 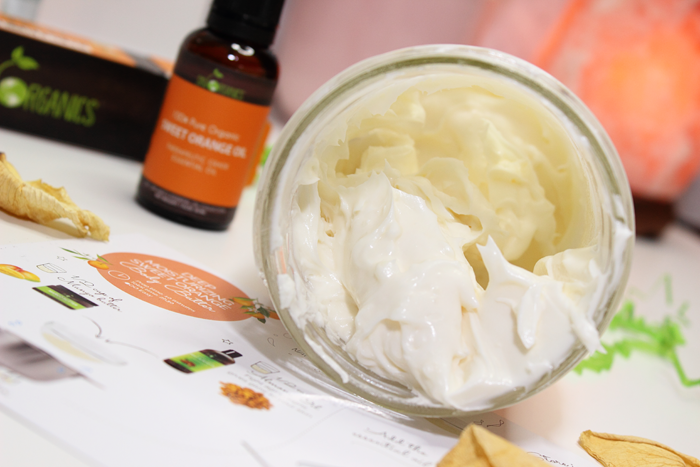 This DIY Kit is called Deep Moisturizing Sweet Orange Body Butter. 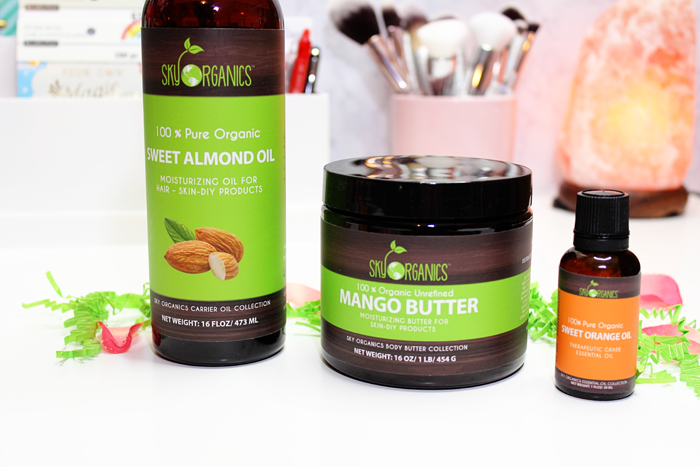 It includes 16 oz Mango Butter, 16 oz Sweet Almond Oil, and 1 oz 100% Pure Organic Sweet Orange Essential Oil. The included instruction card says to combine 1/2 cup Mango Butter and 1/2 cup Sweet Almond Oil in a double boiler. I whisked the ingredients until melted and well combined. Then I transferred it to a mason jar and placed it in the fridge. The card says to allow it to cool for 2-3 hours. Transfer to a bowl, add 10 drops of the Sweet Orange Essential Oil, and whip with a hand mixer for 5 minutes or until fluffy. Store in a mason jar. Allowing the mixture to cool for a few hours is what took the most time. The rest of the process was really quick and easy as was the cleanup. The end result was a nice, rich, refreshing body butter. I would definitely say that it was moisturizing. I did find it to be a little oily though. I’m not sure if maybe my measurements were off or maybe I just didn’t whip it good enough? It did eventually sink into my skin though and left it feeling really soft. The orange scent is amazing! It’s so refreshing! Like the Lavender Coconut Oil Hair Mask with Argan Oil Kit, the contents of this kit can also be used individually. 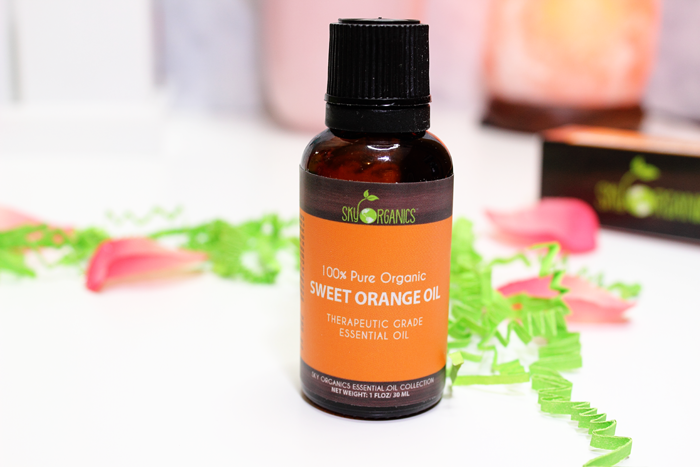 I love using the Sweet Orange Essential Oil in my diffuser. The scent really does lift my spirits. Nothing like the sweet smell of citrus to get you going throughout the day. Seriously, it smells amazing! Check out my first post for more ideas on how to use these items individually. 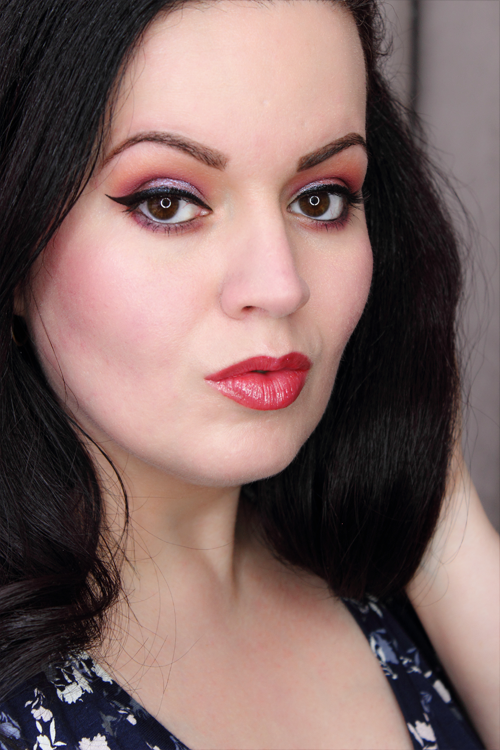 Overall I think the Deep Moisturizing Sweet Orange Body Butter Kit is pretty great. While making my own body butter isn’t something I plan to do often, it was a lot of fun experimenting. I also think these could make great gifts. Not just the kit itself, but the finished product. Just pour the body butter into a decorative jar and you’re good to go. Have you ever made your own body butter?